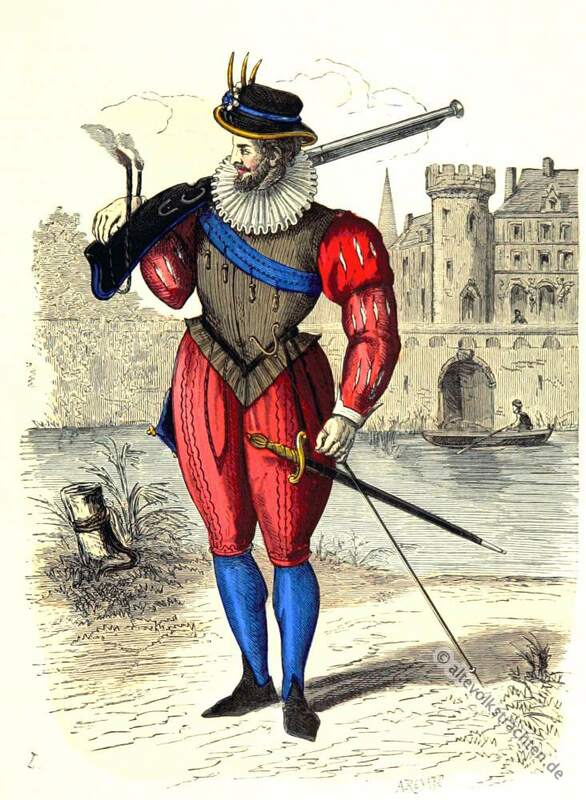 Musketeer costume in 1586. Reign of Henri III. Home » Musketeer costume in 1586. Reign of Henri III. Musketeer in 1586. Reign of Henri III. Taken from Gaignères portfolio (sixteenth century). Mousquetaire en 1586. Règne de HENRI III. Tiré du portefeuille de Gaignères (XVIe siècle). This entry was posted in 1586, 16th Century, Baroque, France, Military and tagged Baroque era, French military uniforms, Paris à travers les siècles on 7/18/15 by world4.